Former Australian Superkart Champion Jason McIntrye is waiting for a five-organ transplant. The Victorian, who had to stop racing a number of years ago, requires a new stomach, intestines, liver, pancreas and duodenum. Read more about his incredible journey on the HeraldSun website HERE. 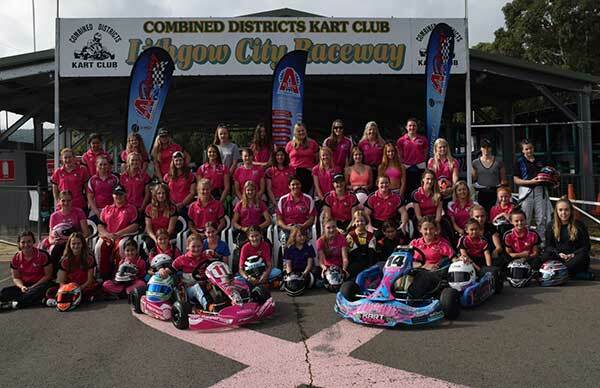 Combined Districts Kart Club advise the 2018 Ladies Trophy will be held January 19 and 20 (Friday/Saturday) next year. This will be followed by an ‘open’ race meeting on Sunday, January 21. The Lithgow City Raceway has had a full resurface since the 2017 Ladies event and is reported to be the smoothest racing surface in Australia. 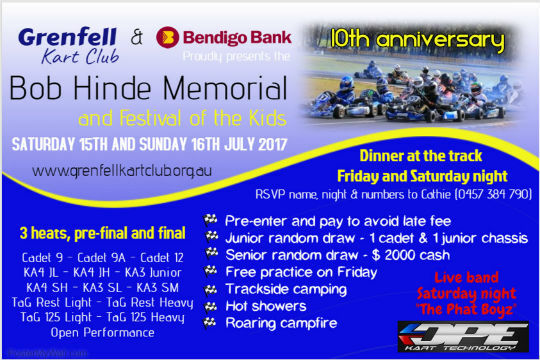 Currently, this is the only ‘Girls Only’ event in Australian karting, and raises funds for the National Breast Cancer Foundation. 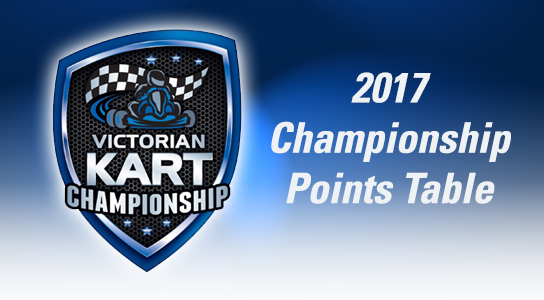 The final point score for the 2017 Victorian Kart Championship is now available. Click HERE to download the PDF that covers all points for all drivers across all the classes. 10th Anniversary event at Grenfell this weekend. Pre-entries close Wednesday night. Entry is $130, second entry for the same driver is $100. Late entry surcharge $20. 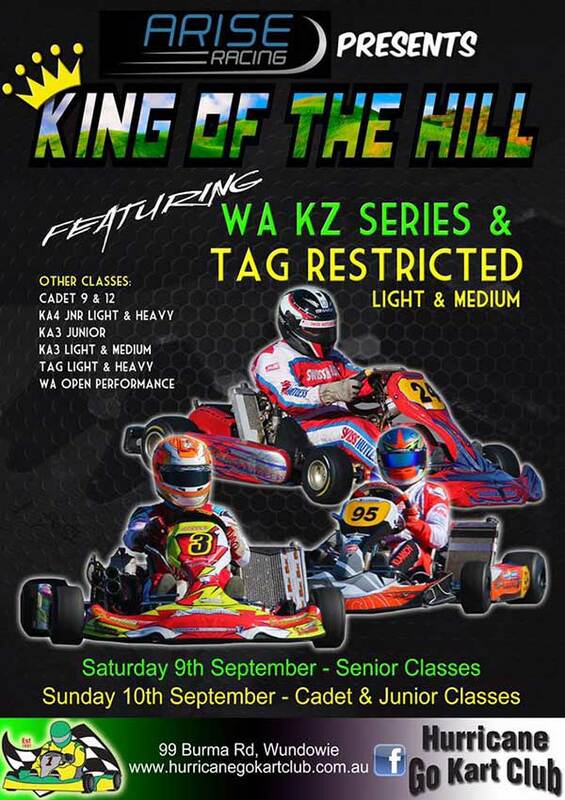 The format for King Of The Hill in 2017 has changed. Seniors will race on Saturday and Cadets/Juniors on Sunday. 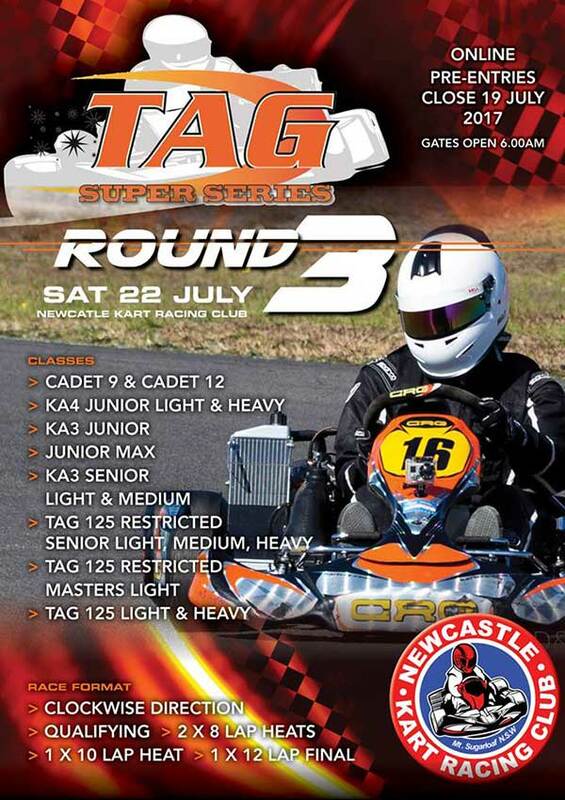 “The Hurricane Kart Club committee made this change believing it to make this meeting even better for everyone involved – drivers, officials, volunteers and spectators” the club published. Presentations will be held on both days with prizes and entertainment on Saturday night.